Kicking off a car review with a bunch of sales stats sounds like a recipe for sending people to sleep, but before you lock your phone or shut your laptop in disgust, stick with me - there’s an important point to make here. Last year, Mercedes shifted over 40,000 A-Classes in the UK alone. To put that in perspective, that means the A-Class outsold the Lexus brand over here three times over, all on its own. But that doesn’t mean it’s a particularly good car. As proven by the Nissan Qashqai, for example, ubiquity is possible with a product that’s far from class-leading, and that’s certainly the case with the outgoing A-Class. 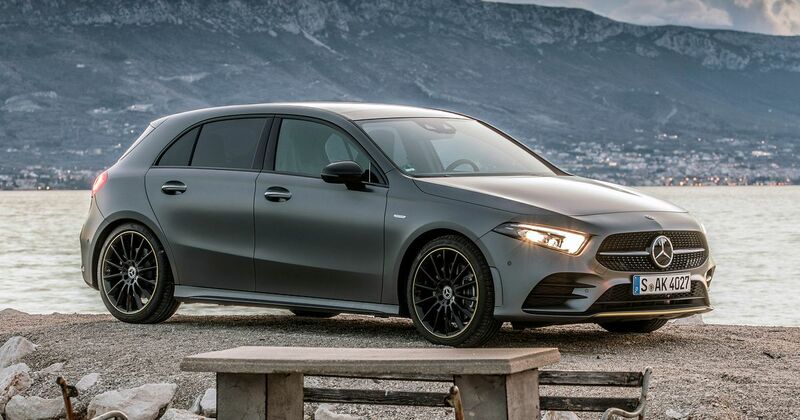 Its interior design looked dated even when it was first released, the quality wasn’t up to scratch for what’s supposed to be a premium car, and in terms of driving dynamics it was always (super-hot AMG A45 aside) just a bit meh. The new one, though? As soon as you climb inside, it hits you - damn, it’s nice in here. It’s not just a huge leap forward from the old one, it’s now by far the best in class. The twin screens - housed in a single glass panel - look great, the dash design is understated yet purposeful, and despite me wanting to write off the 64-colour ambient lighting system as a pointless gimmick, it does actually bring an extra air of classiness to proceedings. The tech’s mostly top drawer stuff, too. The screens are crisp and the graphics are pleasantly sophisticated, there’s an augmented reality function that overlays sat nav instructions via the front parking camera feed, and the touchpads on the steering wheel make controlling the A-Class’s bewildering amount of features very easy indeed. Or if you’d rather, there’s a large touchpad between the two front seats, and the right-hand display is a touchscreen too. There is a fourth way of controlling stuff too: voice recognition. 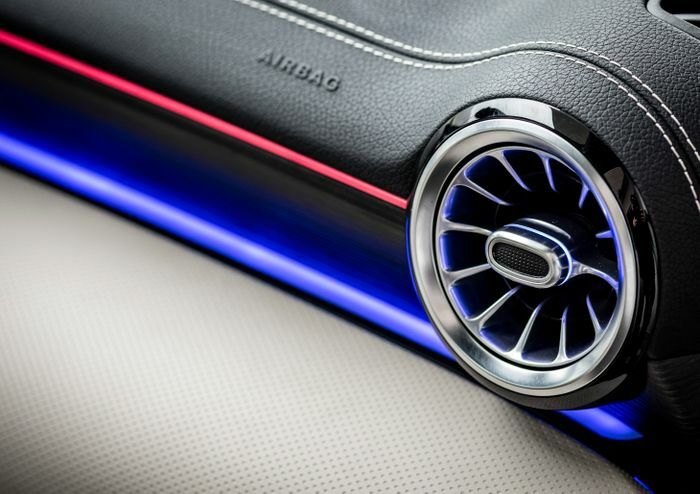 Mercedes has gone to huge lengths to make this notoriously tricky concept work, and the results are…mixed. Most of the time during our two-day test, it simply didn’t understand the very easy requests thrown at it. With the exception of changing the colour of the ambient lighting, weirdly. We suspect most owners will try the feature a few times, get frustrated, then never bother again. We have better things to report about the semi-autonomous driving assistance functions, though: the lane-keeping steering inputs are smooth and quite possibly class-leading, and if you want, it can change lanes by itself. Well, officially it’s ‘assisting’ you, but all the driver has to do is keep hold of the steering wheel. If you don’t, the car doesn’t just throw a hissy fit and deactivate the system - it will (after a prolonged period of whinging) gently pull the car to a stop, put on the hazard lights, and after 10 seconds, call the emergency services. This is a car that’ll sell on all the shiny clever stuff alone, but for those who are interested in the bit between A and B, the new A-Class is an improvement on the old one. The steering’s well weighted and just about quick enough in Sport mode (if a little numb, but you were expecting that, weren’t you? ), and there’s a general feeling of security and competence as you start to throw it around. But excitement? Not so much. 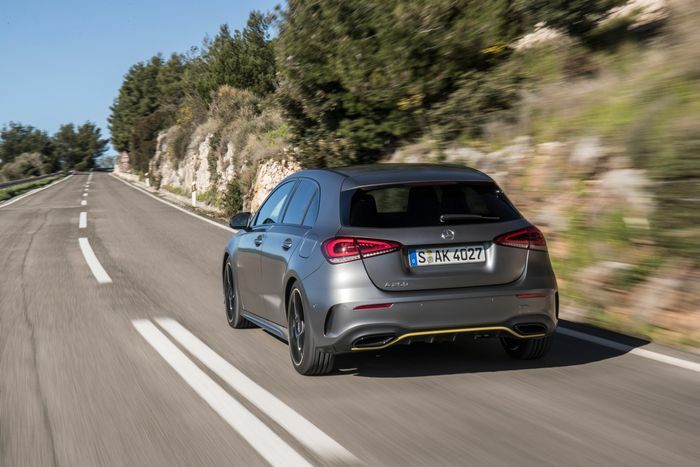 There is an A250 model with a useful 221bhp, making 0-62mph possible in just 6.2 seconds. Sounds like a hot hatch, right? In reality, it isn’t - not quite, anyway. It feels suitably brisk rather than properly quick, although it rolls a little less than the A200 and feels generally more up for being chucked around. The A200, by the way, will be fine for most folk with its 161bhp 1.33-litre inline-four, but it feels and sounds laboured under load. 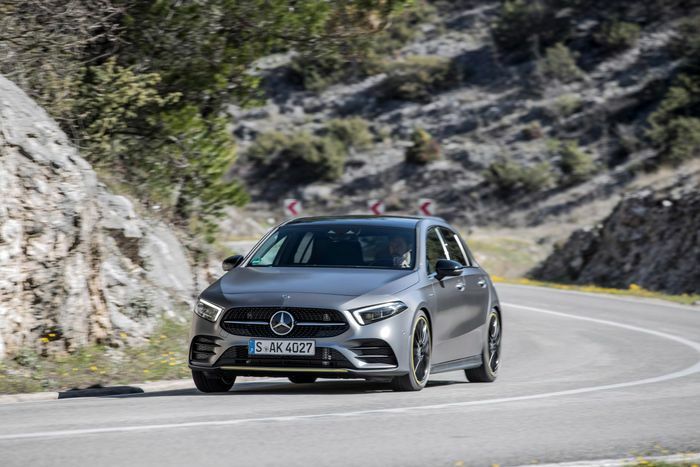 For something more thrilling meanwhile, you’ll have to wait until the AMG A35 and A45 versions arrive. It’s when you’re driving more sedately that the A-Class comes into its own - it’s supremely quiet in there, with exceptionally low wind and road noise. 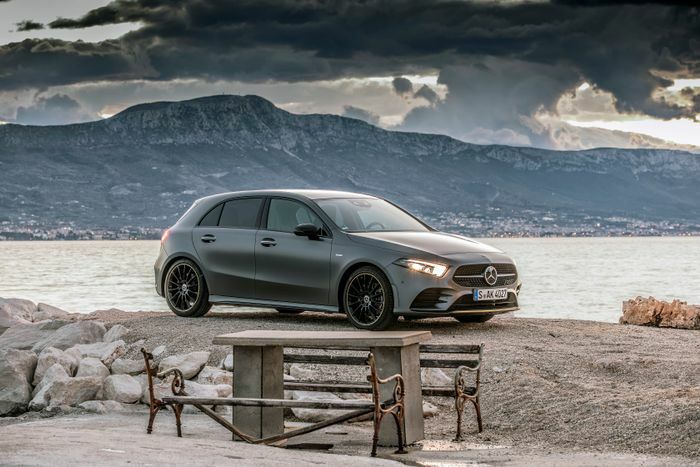 Coupled to that posh, tech-fest of an interior, and you finally have an A-Class that feels like a proper executive car distilled into a hatchback body. The ride isn’t quite there, though. It’s generally floaty and never crashy, but it struggles to settle when proceedings take a bumpy turn. There’s also an elephant in the room for us to address: you know all those cool features we’ve been talking about? They’re all optional. All cars have the whole twin screen thing, but if you want the super posh dual 10.25-inch displays, you’ll need the £2395 Premium ‘equipment line’ - which also includes the ambient lighting function - or the £3595 Premium Plus pack that adds things like fancier headlights and a panoramic sunroof. And it’s not like the A-Class is that cheap to begin with - the base model A180d, A200 and A250 cost £25,800, £27,500 and £30,240 respectively.